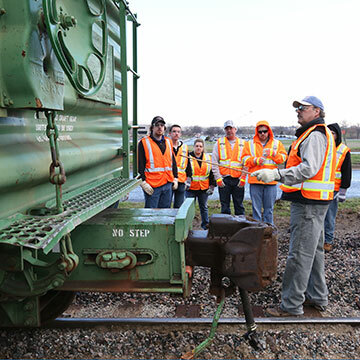 Earn a college certificate at the National Academy of Railroad Sciences (NARS), a partnership of Johnson County Community College and BNSF Railway. 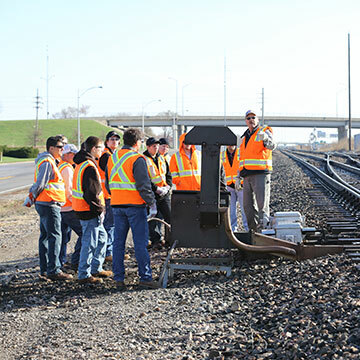 Established in 1988, NARS offers training to those seeking a job in the railroad industry. Learn in laboratory conditions and simulated situations that duplicate on-the-job requirements. Our training facility spans 130,000 square feet of office, classroom, laboratory and multimedia studio space. 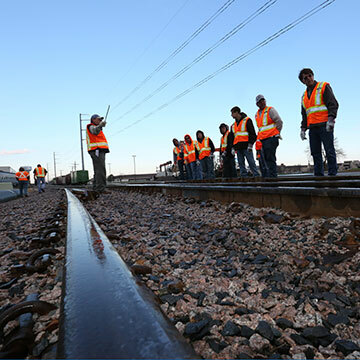 You'll learn from former railroad conductors who have met industry and Higher Learning Commission standards. 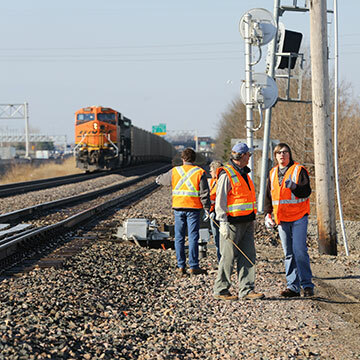 At the end of NARS training, you may earn an interview with BNSF or other employers. Our payment deadline is four weeks before class start date. We accept the first 14 students who enroll and pay. NARS is strictly an educational opportunity. Is Railroad Conductor right for you? Individual railroads can differ somewhat in the qualification requirements for applicants; most of them won't accept color-blind applicants. 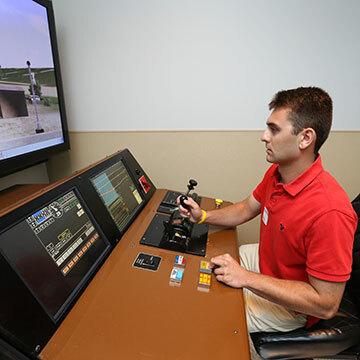 Railroads usually make applicants who advance in the hiring process pass a medical evaluation. Research the specific application requirements for the railroad to which you're considering applying. Choosing the railroad for a career is a long-term commitment, rewarded with an outstanding retirement system. And on the road to that retirement goal, railroad employees enjoy very livable wages and handsome benefit packages for themselves and their families. Road conductors are on call, unless they work a shift with set hours (usually yard jobs). They usually have to report to work within two hours of receiving a call to work. Railroads usually operate 365 days per year, even on holidays. 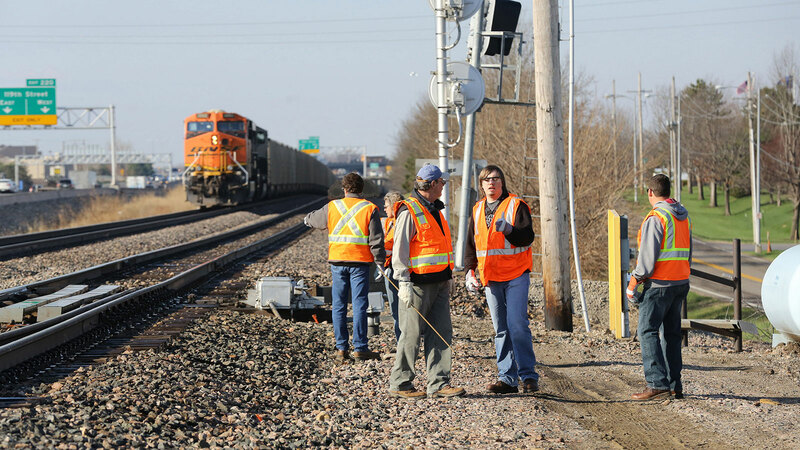 Railroad conductors should be somewhat physically fit because they will experience some days with higher-than-normal physical exertion. Most railroads are seniority-based (except for some short line railroads). As a new hire or an employee low on the seniority rosters, you could be furloughed or laid off from time to time. 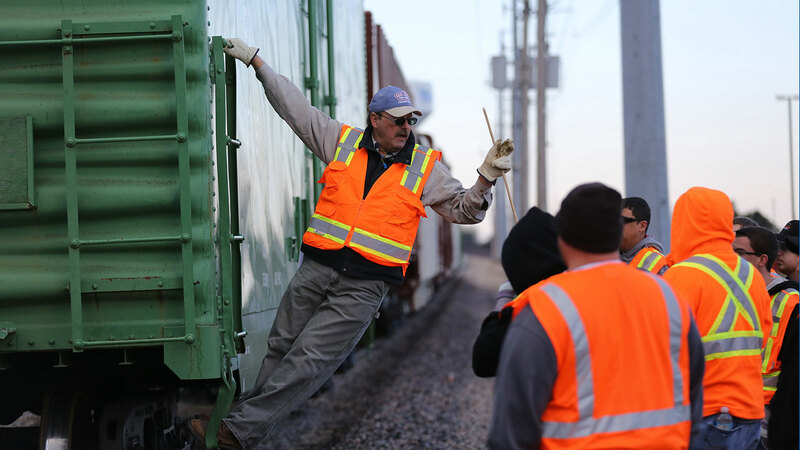 Railroad conductors should be self-motivated. They will perform many aspects of their duties without supervision. 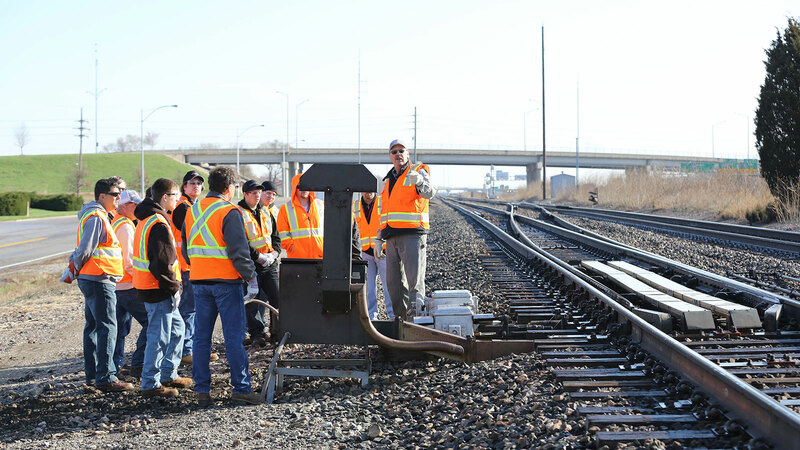 Railroad conductors should be punctual, honest and loyal to their employer. 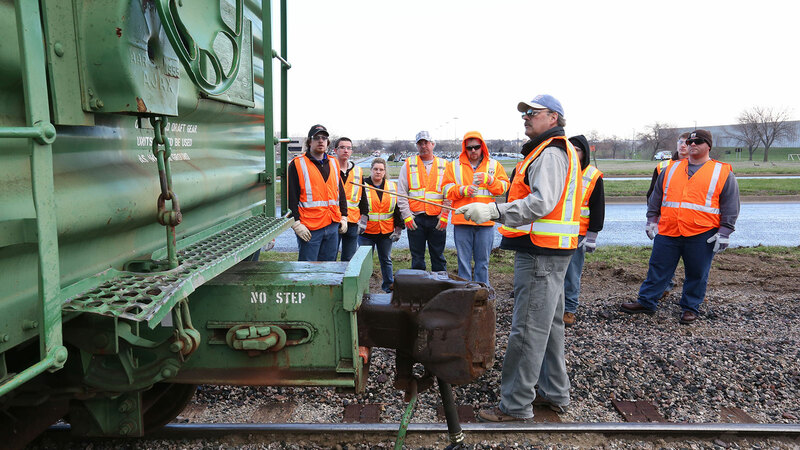 Each railroad has somewhat different expectations for its employees, but the above observations are a good starting point to determine your fit in a railroad career. There are seven Class I railroads and more than 500 short line railroads in the United States. The employment potential is there, based on your personal situation and desires. Below are some of the general requirements of railroads, but you should consult specific railroads for their requirements. 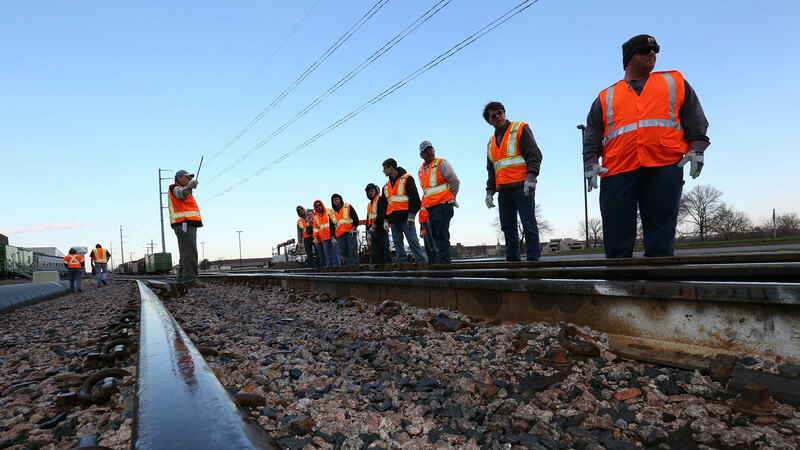 You must pass a background check and an aptitude test as part of the railroad hiring process. You must also be able to prove that you are a U.S. citizen or that you are authorized to work in the United States. Pass hearing and vision requirements. Applicants cannot be color blind. Work hours are based on seniority. New hires will work primarily nights, weekends and holidays. Some positions are governed by a collective bargaining agreement. Membership is required. Must pass a post-offer medical examination, including drug and physical capabilities test that entails a 1.5 hour strength and cardiovascular fitness test. You will be required to travel up to 4 hours to a testing center, at your expense. 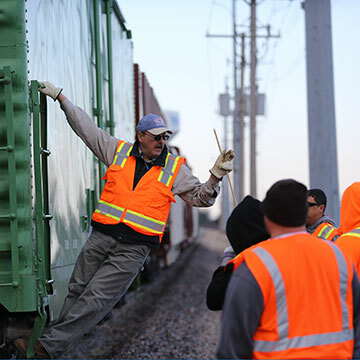 Our online railroad conductor program is a five-month program. At the end of the five months, seven consecutive days are required on campus for hands-on field training. The online portion follows a weekly format. Your instructor will expect you to log in, read course materials, contribute to online discussions and complete assignments each week. Our face-to-face program meets from 8 a.m. to 4:30 p.m. Monday through Friday for six weeks. After that, you have 10 weeks to complete your distance learning coursework. You can complete your distance learning coursework anywhere. 10 weeks prior to class start date: Financial Aid must be submitted. You are responsible for checking your student account to ensure all documentation is submitted successfully. 6 weeks prior to class start date: $500 non-refundable deposit due. 4 weeks prior to class start date: Remaining full cost of tuition due, or financial assistance firmly in place to reserve your seat — first come, first served. Tuition is $6,000-$8,000 (subject to permanent residence.) See Program Costs & Financing below. Must be at least 18 years old and possess a high school or general education diploma (GED). Pass a hearing and vision test. Applicants cannot be color blind and must meet vision and hearing threshold guidelines as described by the FRA. 1. Choose a session date. 2. Apply here: Application is good for 2 years. Under the Academic Major at JCCC section, select Program and search Railroad to select either certificate or A.A.S. The Academic Term is the college semester in which the class session of your choice begins. Allow at least 48 hours for JCCC Admissions to process your application. Check your email for application status. Class space is limited. Applicants will be notified if their class session choice is full and will be invited to attend the next available class session. To change your major after submitting your application, follow these instructions. *The JCCC board of trustees can change the cost per credit hour without notice. **Metro Rate applies only to Missouri students residing in ZIP codes starting with 640 or 641. $500 non-refundable tuition deposit due six weeks before class start date. Laptop or tablet: All exams will be administered in the Learning Management System. Exams may also be accessed through most mobile devices. You pay for an associate degree by the credit hour. It usually takes two years to complete an associate degree. Visit our catalog for the total credit hours required to earn our associate degree. Visit the college's tuition page to determine your cost per credit hour. The cost per credit hour varies depending on your permanent residency. The JCCC Board of Trustees can change the cost per credit hour without notice. Financial aid is monetary assistance for the cost of attending college that comes from a source other than you and your family. You can apply for financial aid to help pay for our programs. Get more information and financial aid application instructions online. You may also email the JCCC Financial Aid office or call 913-469-3840. Benefits for military veterans — For help with benefits for military veterans, email Kena Zumalt, Veteran Services coordinator, or call her at 913-469-8500, ext. 3924. Workforce Innovation and Opportunity Act (WIOA) funds — For information, contact your state WIOA office. Vocational Rehabilitation funds — For information, contact your state office. Note: Students with approved funding sources are eligible for BNSF scholarships. 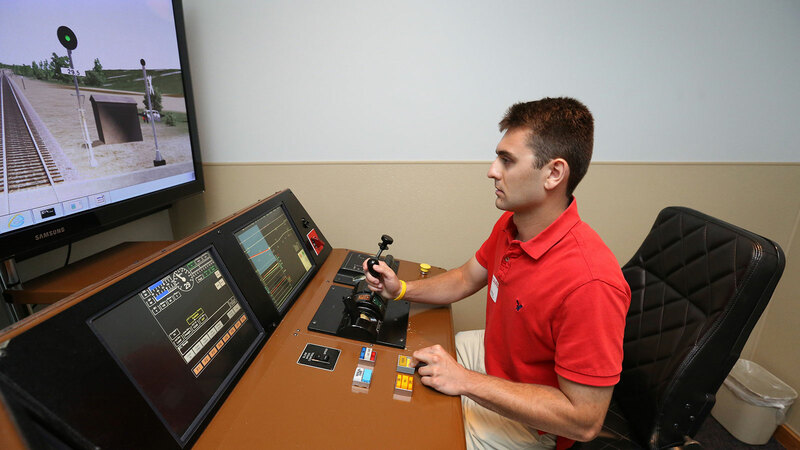 The U.S. Department of Labor compiles statistics on the careers involving railroad science. You'll find information specifically related to careers in Kansas, including salary information and the job prospects.